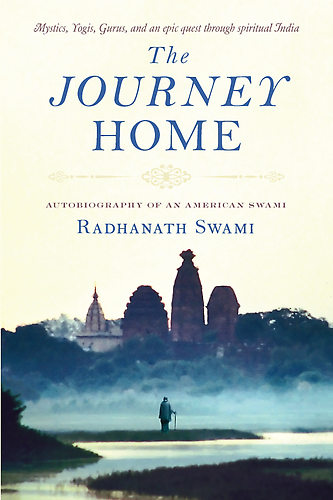 Question to Radhanath Swami : I find it difficult to believe that chanting is the simplest process to refine our senses, detach ourselves from the bodily concept and identify with the soul. Rather, this chanting and dancing appears childish to me. Is this really the way to be relieved of our problems? Radhanath Swami Answer: Lord Jesus said, “Until you become like a child, you do not fit to enter into the kingdom of god.” We are god’s children but we are trying to be the master of our lives and we are trying to be the controller of situations. Rather we should accept the position that we are the humble children of god. Many great philosophers who have deeply scrutinized Vedas and many ancient scriptures have concluded that the realization of all the scriptural philosophy is to chant the holy names, to dance and to glorify the supreme lord. 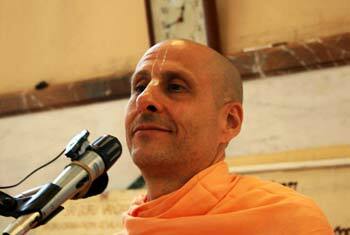 The philosophy can show us the way but the actual realization comes through the chanting of the holy name. I can describe you honey in words, but until you open the jar and taste it, you will never really know, what honey is. Unless you will eat it, you will not know the taste and you will not be nourished. 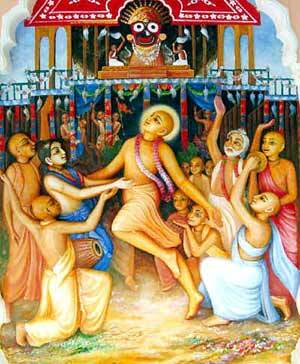 So the process of chanting and dancing which is introduced by Lord Chaitanya Mahaprabhu and recommended in Vedic literatures is not a childish activity to the saintly persons. There are people with sense of false prestige and they are fighting over dignity and honor which is totally childish. But an act of chanting the holy name in ecstasy and dancing is an act of grown up people, people who have grown beyond the superficiality of material Life.